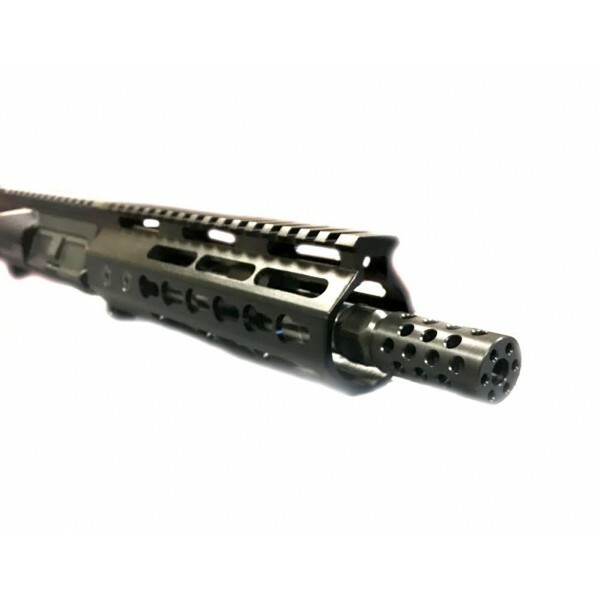 AR-15 7.62x39 7.5" stainless steel upper assembly, Left Hand. Variations in design available, just visit our AR Builder for your custom order. Barrel - 7.5" 416 stainless steel hbar/heavy contour barrel. Hardened to 26-32 rc and stress releived. Chambered in 7.62 x 39. 1-10 rh twist button rifled. .750 under gas block. Black phosphated A2 compensator and crush washer. M4 feedramps. Gas system - Low profile gas block made from aircraft quality aluminum and black hardcoat anodized. Pistol length gas tube. Handguards - Free floating keymod carbine length rail. Made from aircraft quality aluminum and black hardcoat anodized. No BCG and/or Charging Handle included. 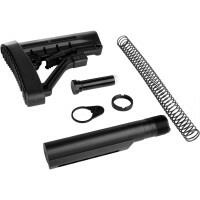 DPMS compatible.